You are standing on the sidewalk down the center of "The Mall", Uptown. The street up ahead is Irving Avenue. 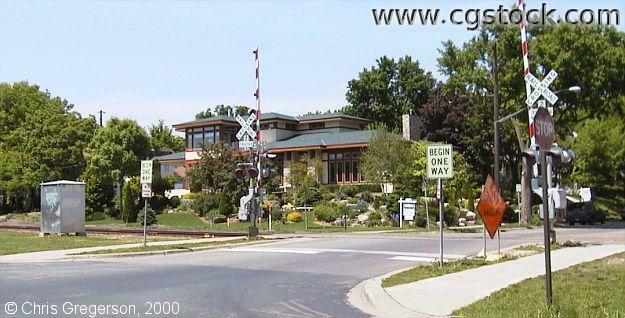 I like the prairie style home across the railroad tracks.